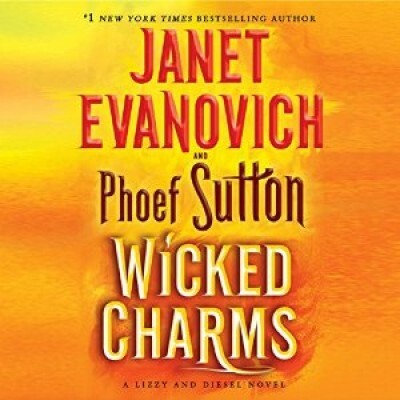 Lizzy and Diesel are back in an all-new wicked adventure from number one New York Times best-selling author Janet Evanovich and Emmy Award-winning co-author Phoef Sutton. Murdered and mummified nearly a century ago, bootlegger Collier "Peg Leg" Dazzle, in his notorious lifetime, discovered and re-hid a famous pirate's treasure somewhere along the coast of New England. A vast collection of gold and silver coins and precious gems, the bounty also contains the Stone of Avarice - the very item reluctant treasure seeker Lizzy Tucker and her partner Diesel seek. While Lizzy would just like to live a quiet, semi-normal life, Diesel is all about the hunt. And this hunt is going to require a genuine treasure map and a ship worthy of sailing the seven seas... or at least getting them from Salem Harbor to Maine. 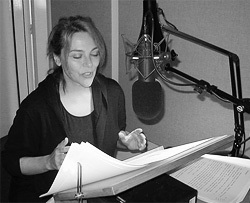 We had such a blast recording this - and there's a new character that I ADORE!